Lycaste is a splendid orchid. Its triangular in shape flowers are extremely showy and often large. If you say that they are just beautiful, you’ll say nothing. They could be either bright or in pastel shades. And do not forget that some species have incredible aroma! And they are long-lasting, so Lycaste’s cut flowers were once a popular option. 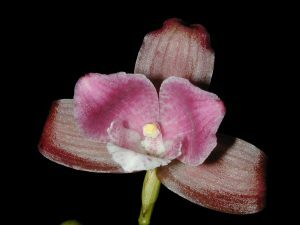 For these features, Lycasta species and numerous hybrids are quite popular; there are some orchid enthusiasts, who specialize solely on the Lycaste genus. 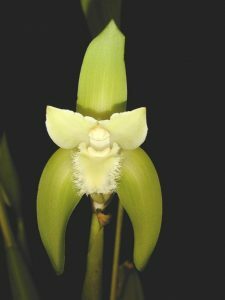 The white alba variety of Lycaste skinneri called Monja Blanca, which means in Spanish White Nun is a floral emblem of Guatemala. And there are some myths about Lycaste orchids – they are not only desired but also feared, many think that they are exceptionally difficult to grow, and that there is no way to grow them on windowsill. In fact, there are some relatively easy species, which will thrive on common windowsills, and even species, regarded as “difficult” are more tolerable to a broad range of conditions then they are thought to thrive in, so here we discuss Lycaste orchids, their cultivation and care. Lycaste orchids are epiphytes, lithophytes, and terrestrial orchids, some of them dwell in mounts where there is no big difference between these ecological strategies. They are sympodial plants with profound, ovoid pseudobulbs with large, plicate leaves. Some of Lycaste species are quite large, so you need to have a spacious place to grow them. Inflorescences come from a base of pseudobulbs and could be either multiflowered or single flowered. The flowers are quite interesting – due to big, profound sepals and relatively little petals they seem to be triangular in shape, often sepals, petals, and lip have different colors. There are two relatively distinct main groups of Lycaste, which differ in their ecology and morphology. The plants of the Deciduosae group are deciduous – they come from lower parts of mountains, where two distinct seasons take place – a wet season in the summer and a dry one in the winter. So in the winter they drop their leaves and have dormancy. Important feature of these Lycastas is that their flowers emerge on leafless pseudobulbs in the spring, just before the new growth starts or simultaneously with it, and they are often bright yellow-flowered. Lycaste aromatica is extremely popular for being one of the easiest Lycastas to grow and its beauty and cinnamon scent. Lycasta aromatica has yellow, 3-inch wide flowers with extremely profound aroma (here comes the name “aromatica”). Lycaste cruenta is often being mistaken with Lycaste aromatica for its resemblance but it has larger flowers (up to 4 inches) with different scent, and another good feature to differentiate them is that Lycaste cruenta has spines on the top of its leafless pseudobulbs. Lycaste bradeorum is another aromatic-like Lycaste with the same characteristics but this species flowers in late winter, Lycaste consobrina is also yellow flowered scented Lycaste with smaller flowers up to 2.6 inches wide. Lycaste macrobulbon has canary-yellow 4-inch wide flowers. Lycaste candida is quite unusual deciduous Lycaste for having white with pink flowers instead of yellow ones. The other group of Lycaste is Macrophylla group. They grow in mountain cloud forests where conditions are quite equal so there are no wet/dry seasons and they do not drop leaves (but they are also somewhat deciduous) and flower on leaved pseudobulbs in the fall and the winter. Lycaste skinneri is the most famous Lycaste orchid. It has extremely beautiful, more than 6 inches wide unscented flowers. They could be pink, rosy, white or salmon colored, and it also has beautiful semi-alba clones. Lycaste macrophylla is a type species and has large 5-inch wide flowers with olive green to brown waxy sepals and white petals, lip is either white or pink, flowers are fragrant. Lycaste deppei is another extremely fragrant and lovely species. Lycaste dowiana has fragrant flowers with brown sepals and white lips and petals. Lycaste linguella is fragrant, its flowers are greenish white and come in winter. Lycaste lasioglossa is rather exotically looking for its 6-inch wide, waxy flowers with a shaggy yellow lip, yellow petals, and dark orange petals. What’s about Lycaste orchid care – it differs within these two groups. Deciduous Lycaste needs dry warm dormancy in the winter with no watering and fertilizers. 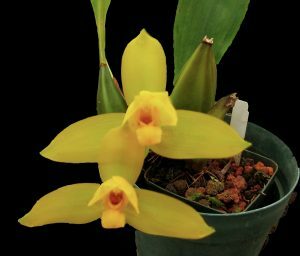 While actively growing, they need ample watering and fertilizers, bright light with some direct sunlight (as for Cattleya) and they need intermediate to warm temperatures, and they are somewhat tolerant of hot temperatures. The substrate should be more epiphytic – medium bark with some sphagnum, tree fern and cocoa chips. So they are not very difficult to grow and rather easy for experienced orchid growers. Another group – Macrophylla Lycaste is different. They need cool to intermediate temperatures – they can tolerate warm temperatures for only little periods of time. The light should be filtered, as for Cambrias is OK. They can grow either in pure sphagnum or within perlite mixes, but overwatering is very dangerous for them – substrate should not be soggy, otherwise it may cause root rotting. It is a good idea to grow them in ceramic pots for their ability to vaporize water – it doesn’t only allow an excess of the water to vaporize, but also it coolers the roots so it makes more comfortable conditions for Lycaste orchid growing.